Intel has just made a huge announcement at the Computex by unveiling its new Core i7-6950X Extreme Edition CPU which comes with 10 cores onboard. This ultra high-end processor brings with it a ton of powerful abilities, and grabs a price tag of $1723 to warrant them all. The CPU is based on the Broadwell-E architecture, and is completely unlocked for users to overclock. The above mentioned variant is the top model among these Intel processors, and is capable of running at 3GHz (boost speeds of up to 3.5GHz). It will moreover feature 25MB of cache and Intel’s new Turbo Boost 3.0 technology. 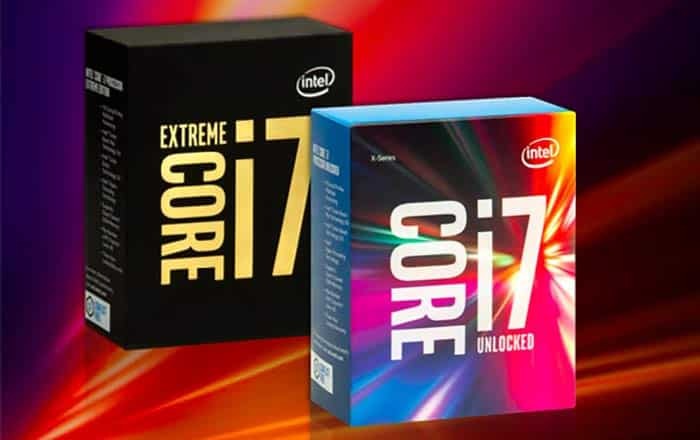 The Core i7-6950X Extreme Edition is claimed to be better than the American company’s current top-place processor, the Core-i7 6700K. It’s twice as fast than the said CPU as far as 3D rendering is considered and 65 percent faster when it comes to editing 4K video footage. The eye-grabbing $1723 price tag applies to the 10-core model among the new Intel offerings. This particular range will also include an 8-core variant called the Core i7-6900K which will be made available at a cost of $1089. And then there will two 6-core versions named i7-6850K and i7-6800K, priced at $617 and $434, respectively. These new Intel offerings surely don’t seem to have been aimed at everyday consumers. But for those who demand the ultimate setups for the projects, they are an ideal companion going forward into the age of virtual reality, 4K broadcasts and what not. The new 10-core Intel Core i7-6950X Extreme Edition CPU will be released soon, and will give quite some competition to the AMD chips that are really no match to this piece of technology.